VCA Adoption Policies ~ Important information, please read before submitting your application! Thank you for contacting VCA about adding a new member to your family. We would love to match you with a great rescue pet. Please fill out this form so that we may find out more about you and your family. This will help ensure that you and your animal are the right fit for each other. A tax-deductible donation (to be specified) is required. This helps cover the medical and boarding costs so that we may continue to rescue other animals. I understand all of the questions and have completely read the application and understand that this VCA pet MUST be indoors and this animal will not be chained/penned outside or allowed to roam freely outdoors. I further understand that if for any reason I want to give up this pet, I will call VCA, and undergo a 14 day waiting period in which representatives of VCA will work with me to resolve any issues with the animal. I also understand that a representative from the organization may visit the animal to ensure that it is well taken care of; if we find that the pet has been neglected or abused in any way or for any reason, we reserve the right to remove the animal from the premises. Your form submission below authorizes us to do so as necessary, and automatically transfers ownership rights of said animal back to VCA at that time. Important Notice: VCA makes no guarantee in reference to the health of the pet. The pet is adopted "AS IS" and the adopter assumes responsibility for the treatment of any and all existing conditions or any other conditions of physical or temperament changes that may occur. While the rescuer makes every effort to place only healthy animals, the rescuer cannot guarantee the health of any animal, due to factors beyond the rescuers control. The rescuer shall not be held responsible for any medical expenses which may be incurred, hereby expressly excluding any implied or express warranties, merchantability, or fitness for any particular purpose, including without limitation and warranties regarding health, temperament or whether the animal is housebroken. 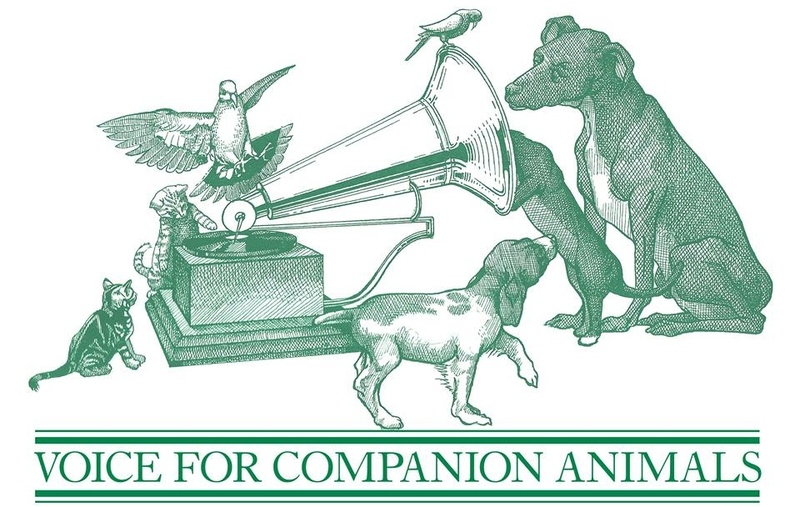 Voice for Companion Animals is not liable if the animal bites anyone after transferred to your guardianship. You are solely liable for the animal's behavior. I understand that I am hereafter solely responsible for the behavior of the pet. VCA does not refund donations if the animal is returned. That donation is used for the next pet who comes into rescue. Do you have any children under 18 who live in your household (including parenting visitation schedules or regular babysitting)? If so, please list their names and ages. Does anyone who lives in your household (or frequently visits, such as grandchildren) have any allergies to pets? Does your job require you to travel for work? Do you have reliable care set up for your pets while you are away overnight? Please tell us what type of home you live in. Are there any city ordinances where you live (or plan to live) that limit the type of breed you can own, or the number of dogs you can have? If you rent, please provide the name, phone number, and address of your landlord. How tall and what type (chain link, metal, wood) of fencing do you have? Do you have an outdoor kennel run, tie out cable that you intend to use for your pet's exercise? No we do not plan to use either of these as exercise for our pet. Our landlord has approved pets, but we are planning on moving within the next 2 years. If you are anticipating moving within the next 2 years, please explain why. If you either currently own or have EVER owned any other pets, please complete the following section. Otherwise, skip to section 4. Are any of your pets considered 'Outdoor' pets? Are you willing to allow a VCA volunteer to meet with you in your home, meet your other pets and household members, and inspect your property? Is this dog going to be a 'Surprise' for someone, or have a specific purpose besides being a companion pet? No, no surprises and we plan on keeping this animal as a companion pet only. Please explain how you plan on exercising this pet. If you are adopting a cat, please explain how you will ensure he stays active. Do you believe it is necessary for your pet to have an ID tag on at all times? If you are adopting a dog, are you planning on enrolling her in obedience classes? Many pets in rescue require time to adjust to their new environment. How long are you willing to give this pet to adjust? Are there any 'deal breaker' situations where you would no longer be willing to keep this pet? Please explain. Have you ever owned a dog who was trained 'off leash' in public? If yes, please explain. Do you believe that a dog can be trained to be trusted off leash in all situations? Do you, or have you ever, owned a cat who was allowed to roam freely outdoors? If so, please explain the circumstances below. If you are adopting a cat: Are you willing to keep this cat indoors for his/her entire life? Who will care for your pet if you need to be out of town? What brand of food do you feed, or are planning to feed this pet? I understand that falsification of any of the above information on this application may result in my application being denied, or removal of this pet from my home.